Show Your Love with EFT! Make that monthly pledge through electronic funds transfer from your bank account (EFT), rather than your credit or debit card. Bank account numbers don't expire. Bank account numbers change far less frequently. Call us at 918-631-3118 from 9 AM - 5 PM weekdays to make a pledge OR switch your existing pledge to EFT. Or, start an EFT pledge online at publicradiotulsa.org! 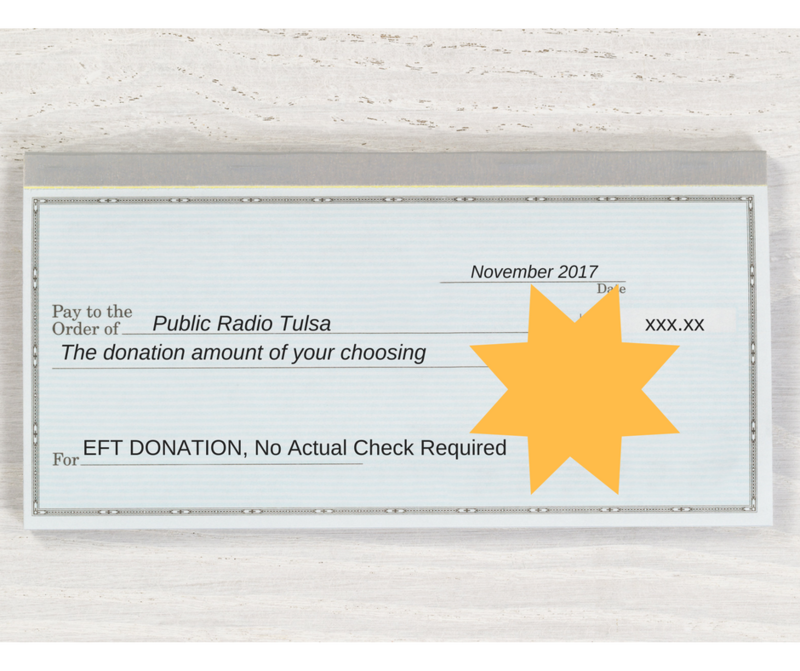 Thank you for your vital support of Public Radio Tulsa!